Sky's tech guru Brian Lenz has told TechRadar that it is going to be a busy year for the company in terms of apps, with lots of innovation heading to the 'companion device'. Lenz is the director of product development at Sky, and has overseen projects like the launch of the Sky 3D channel. But it is the companion device that is currently causing waves at Sky, with a host of well received apps like Sky + and Sky Sports News joined recently by the impressive Sky News iPad service. 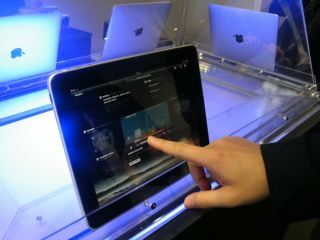 Lenz told TechRadar that the latest arrival is by no means the end for Sky in this area, with a busy 2011 planned. "We hope that we are doing a stream of things in the app market that will resonate, and we believe that we have a great roadmap," Lenz told TechRadar. "We have been learning things everyday from what we have done with the Sky + App and Sky News Insider and that's showing us how to take that into other areas. There is no end of things that we will do in this space. "It's going to be a busy year where you will see a lot of things from Sky." Lenz and Sky believe that the companion device, be it a smartphone or tablet, remains a sensible way to bring interactivity to consumers without distracting them from their primary reason to have a TV - namely to watch television. "In the app space you can experiment and we can see if the things that work for us there can be put onto the television in an unobtrusive way that will really enhance the experience," added Lenz.